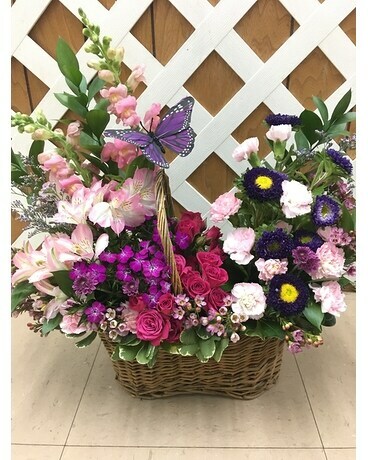 Hot pink spray roses, light pink alstroemeria, snapdragons and miniature carnations, dark pink Sweet William, purple matsumoto asters, large monte cassino asters, statice and pittosporum fill a pretty picnic-like basket. Can be designed using any colors and flowers available. Customize using special instructions.